It's 2013 (In case you didn't know!) and 50 years since those dear Beatles rose to fame in their native United Kingdom of Great Britain. Simply FAB wouldn't you say? AND what's more, their keen influence is still felt today in the music and culture of 2013! Even MORE fab I would say! 1963 was the year the Beatles conquered Britain with hits like 'Please Please Me', 'From Me To You' and the huge Summer smash hit 'She Loves You' which broke more than a few records I can tell you and firmly entrenched the boys on the British public's conscience. 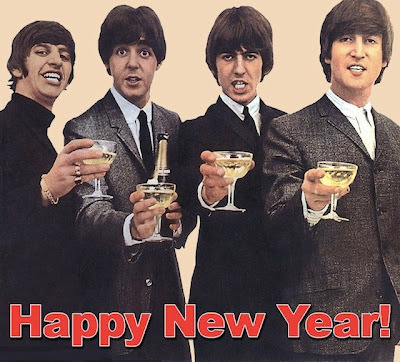 We hope 2013 will be as prosperous for you Beatles fans as 1963 was for the Beatles themselves all those years ago.